My sister-in-law set me a challenge to develop a cake that is suitable for my nephew, Leo. Leo is 8 months old and a truly happy baby who I am pleased to say seems to love his food! My brother and sister-in-law are in the process of weaning Leo at the moment and are following the ‘baby led weaning‘ method. Baby led weaning is a fairly new concept to me, but strikes me as a sensible way of introducing a baby to food. Put simply baby led weaning is the where you give food to a baby and they feed themselves. So far as I can tell one of the major advantages is that they eat what you eat (within reason) and subject to a couple of basic principles to ensure that your baby’s diet has a very limited amount of salt and sugar. Now then back to the challenge, to develop a cake suitable for baby led weaning. My sister-in-law asked me to create a cake that did not contain refined sugar. My first thought was what about using honey, however after a bit of research it became clear that this would not be a suitable substitute on this occasion as the general consensus is not to introduce honey to a baby’s diet until they are a year old. Not being a fan of sweeteners I set my mind to what I could use as an alternative. My solution – dates and banana pureed in a little boiling water. Using that as a sugar substitute I tired a couple of different recipes. The first attempt resulted in a dense but very moist sponge more like a muffin. The second attempt is the one I am going to share here as it produced a much lighter fluffier sponge that rose beautifully. What I should point out it that I made cupcakes instead of a cake as it was a better portion size for a baby. The other benefit of cooking them this is it means that you can freeze them individually and use them gradually rather than worry about them going stale. 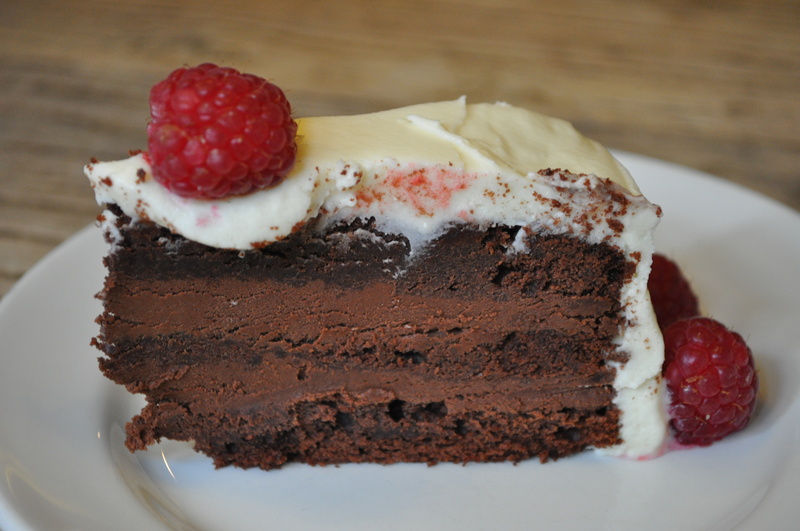 I suspect that you are wondering what it tasted like – unsurprisingly it is nowhere near as sweet as a typical cake but as mentioned it has a lovely light texture. I asked my family for their thoughts on the cupcake and the comments were as follows “Where’s the jam?” and “Any chance of some cream with this?” I think these responses boil down partly to the fact that instinctively they expected something much sweeter and secondly that it is unlike me to serve a cake without icing. So if you are making this for both adults and babies perhaps treat it a little like a scone for the adults and serve with a little jam and cream on the side so those of your family with a sweeter tooth can satisfy their cravings. Enjoy! Tip: if you have bananas that are going black and you are thinking about throwing them away don’t! Peel and freeze them as they will be perfect for this recipe as it works best with ripe bananas. This entry was posted in baking, cake, fruit, recipes and tagged babyledweaning, dairyfree, eatclean, foodphotography, healthyeating, mumsnet, sugarfree, weaning on October 21, 2016 by Antonia Cooks. This has been a weekend of cooking with seasonal food. Today’s seasonal ingredient was apple, more specifically Russet apples. I was very fortunate to be given a huge bag of Russets by a friend when I went to visit her at her family’s farm outside of London and I have been slowly using them up over the course of the last couple of weeks. Russet apples are good to cook with as they tend to hold their form which is great if you bake them in a cake and have a wonderful tangy flavour. This afternoon I used some of the apples to make a spiced apple cake. I used a combination of fresh and dried spices to make this cake, simply because I have fresh ginger in my fridge at the moment however using all dried spices in the recipe would be fine and if you can’t get your hands on Russets, then use any other variety of tangy eating apple to make this cake. This cake is great for afternoon tea, however I would also say that it would also make a fantastic pudding served with some cream or crème fraiche. This cake has a lovely warmth from the spices, but the overriding flavour comes from the tanginess of the apples. This recipe is well worth a try -enjoy! Preheat your oven to 170C Fan. Line the base of a 20cm cake tin with baking paper. Spoon the honey into the cake tin and spread around the base of the tin. Prepare the apples then place in a bowl with the lime and ginger and mix together gently. Place the apples carefully in the base of the tin in a decorative fashion. Prepare the cake batter using the ‘all in one’ method. Place the margarine, sugar, eggs, flour and spices in a bowl. Using an electric whisk beat the mixture together until you have a smooth thick batter with a consistency of clotted cream (use the milk to loosen the batter as needed). Pour the batter into the cake tin and level it out gently using the back of a spoon. Place the cake in the oven and bake for 35-45 minutes or until a skewer comes out clean when inserted into the centre of the cake. Once cooked, remove the cake from the tin and place on a wire rack to cool. Just before you serve the cake sift over a little icing sugar. This entry was posted in baking, cake, fruit, recipes, tea time and tagged comfortfood, eats, foodblogger, homecooking, instayum, recipes, seasonalfood on November 8, 2015 by Antonia Cooks. 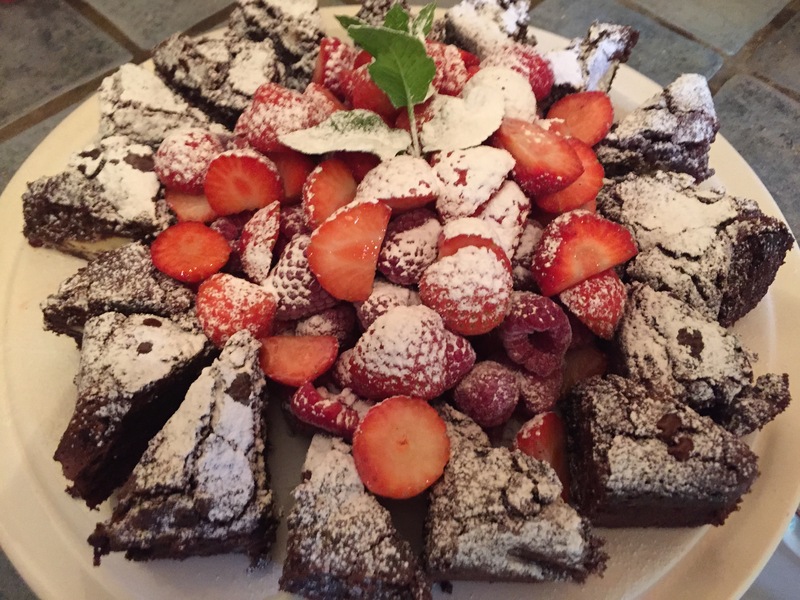 I’ve had a couple of dinner parties lately mid-week and I’ve found that the best way to stay stress free is to do as much preparation in advance as possible, consequently, last Sunday afternoon, when I returned home from sailing, I made brownies. They didn’t take long to make and were prepared and cooked in under an hour and made enough to feed 16 people for pudding comfortably. I have read a lot of recipes that say you must use the very best chocolate when making brownies, however, I have found the cheap and cheerful chocolate from supermarket works really well and as such I’m disinclined to splash out on ridiculously expensive chocolate. I would recommend trying different types of chocolate to see what works best for you and what you prefer. My personal preference is anything with 70% or more cocoa. What makes these brownies stand apart from others that I have made is that they are wonderfully gooey in the middle whilst retaining a slight crust. They are a perfect amount of decadence to finish off a meal. I tend serve with a mixture of summer berries and either ice cream or soured cream depending on what I have available, but they are also excellent on their own. Preheat your oven 180C / 170CFan. Line a 20cm square cake tin. Melt butter and dark chocolate in a bowl above a saucepan of barely simmering water. Whilst the chocolate and butter are melting, whisk eggs, sugar and vanilla until trebled in volume. Pour in the chocolate mixture and continue to whisk until fully combined. Then gently fold in flour, cocoa, walnuts and white chocolate. Pour into the pre-prepared tin and bake in oven for 20-25 mins. Remove the brownies from the oven when they have a slight wobble but a firm crust. Leave to cool completely in the tin, once cool cut into roughly 32 triangles. Note: These brownies keep for over a week if stored in an airtight container in a cool place. This entry was posted in baking, cake, chocolate, pudding, recipes, tea time and tagged eats, food, foodblogger, foodstagram, homecooking, instayum, recipes on June 22, 2015 by Antonia Cooks. I caught up with some of my old school friends last week at a dinner party, we each got designated a course to bring. I have to say I do not think that I have eaten that well in a long time, we had four courses of scrummy food and the company was excellent. 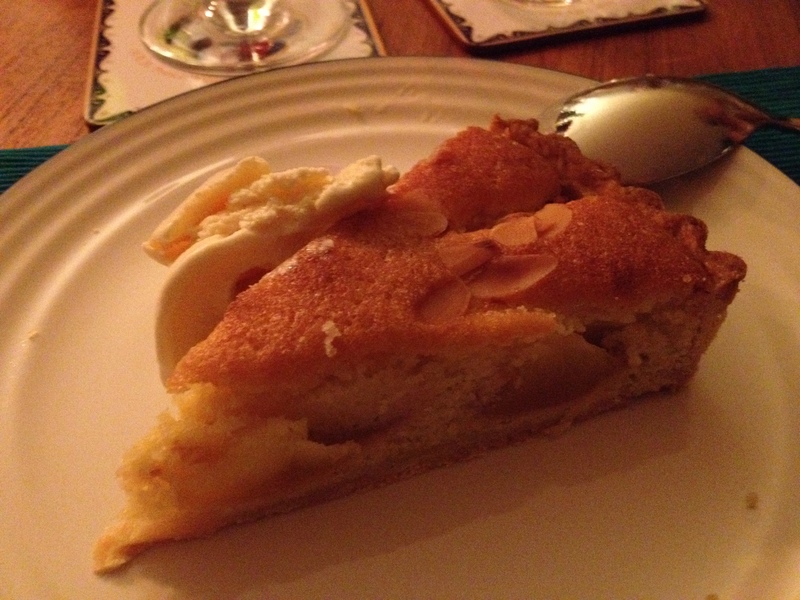 My offering was a nectarine and almond tart. With soft fruit coming into season at the moment it seemed a shame not to make a pudding that incorporated it some how. I haven’t worked with pastry in a while, so I decided to make a dish that incorporated the two. 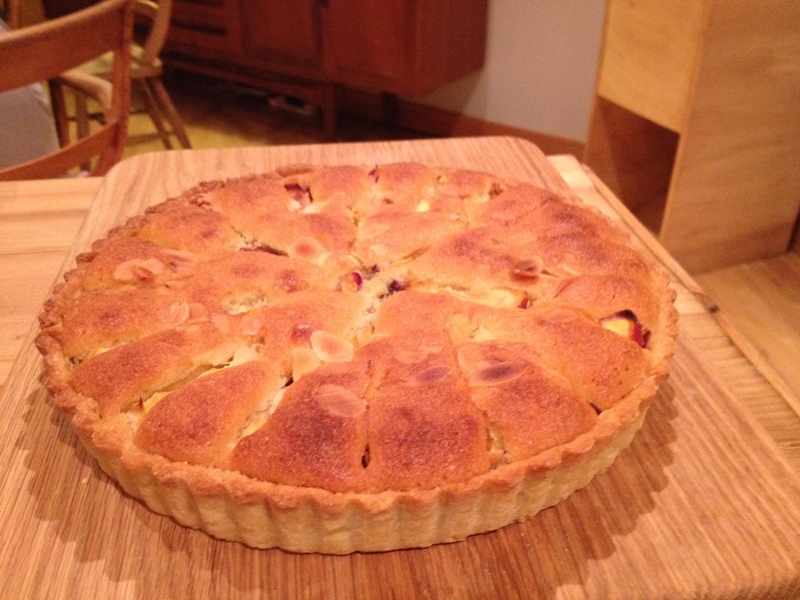 The trick when making this pudding is to use fruit that is not too ripe so that it holds its form and doesn’t produce too much liquid when it is cooking which will cause the frangipane (which is an almond sponge) to become quite dense. This tart can be eaten both hot or cold and is a great pudding to have in your repertoire for dinner parties or picnics. Enjoy! 1. Grease and flour a 20cm loose bottomed tart tin. 2. Place butter, sugar and flour in a bowl and crumb together using your fingers. 3. Add the egg and bring the pastry together, be careful not to over work it. 4. On a floured surface roll out the pastry until it is large enough to fit in your tin, place in the tin and gently push the pastry into the edges and using any excess pastry to patch any holes. Don’t cut off any excess that goes over the edges yet . Afterwards lightly prick the pastry with a fork, place in the fridge for 20 minutes to chill. 5. Remove from fridge and trim the edges of the tart pressing down slightly as you do so, place a sheet of baking paper over the tart and fill with baking beans. 6. Blind bake pastry for 15 mins at 190C and then remove beans and bake further 5 mins. 1. Whilst your pastry is cooking prepare your frangipane. 2. Place all the ingredients in a bowl and mix together with an electric whisk for 2 minutes. 3. Once your pastry is cooked. 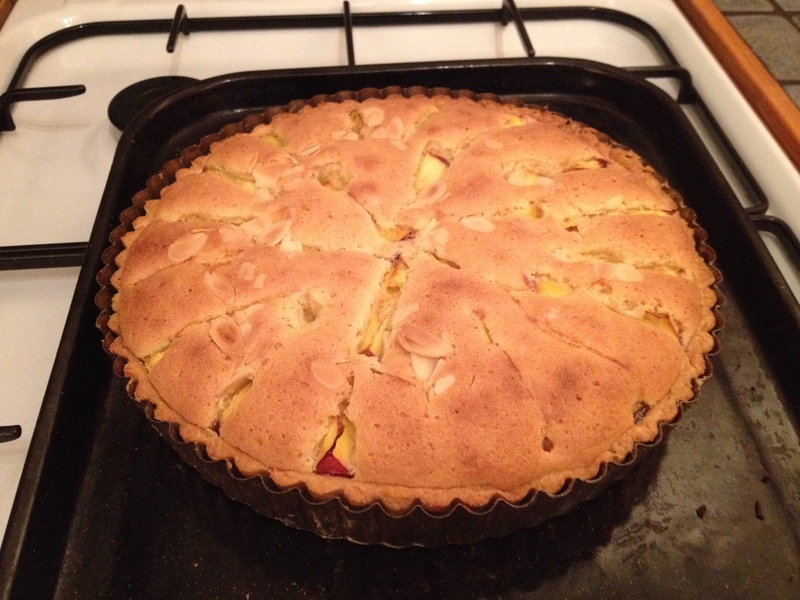 Leave to cool for 5 mins, before spooning in the frangipane, decorate the tart with the nectarine wedges and almond slices. 4. Place the Tart in the oven and bake at 170C for 35-50 mins. This entry was posted in baking, cake, fruit, pastry, pudding, recipes and tagged food, foodblogger, homecooking, instayum, recipes, seasonalfood on August 2, 2014 by Antonia Cooks. As I mentioned in an earlier blog (An idea for a wedding cake) my brother and his fiancé have decided to have a “bake off” at their wedding and are encouraging their guests to bring a variety of baked goods. It is my understanding that the cakes will be judged on both creativity and presentation. At the moment I am thinking that this is going to be the cake that I bake as I think will all the colours of the summer berries it is visually very pleasing, however, I think that I am going to have to make a few refinements to the cake to make it more structurally sound as ideally I would like to make the cake several tiers higher. I ended up icing and decorating the cake at work as I could not face the idea of taking the finished cake onto the London underground. I popped into the work canteen at around 8.30am and put the cake together within about 10-15 minutes. All in all it was a stress free process as the beauty of this cake is that is does not matter how messy the cake looks after you have iced it because the berries will cover any mishaps that you may have. So, why do I think that this is going to be the cake that I make for the bake off? Well, as the wedding is at the end of August and we are all crossing our fingers that the weather is going to be lovely, I felt that a light cake that has a beautifully creamy filling which is countered by the sharpness of the lemon curd and summer berries would be the type of cake that people would want to eat. However, we shall just have to wait and see how it turns out. I would definitely say that this is a cake to try. If you do not want to make such a large cake, then halve the recipe and bake the cake in a 10″ tin and you will have a lovely cake for either afternoon tea or a summer pudding that your guests will love. 1. Preheat oven to 170C and line a 10″, 8″ and 6″ round cake tin with baking paper. 2. Beat together in a bowl the soft margarine and sugar until light and fluffy. 3. Add the eggs, flour, zest, baking powder and milk, then beat together using an electric whisk for 1-2 minutes. 4. Divide the cake batter up between the 3 tins and bake for around 15-20 minutes for the 6” and 8” tins and 35-45 minutes for the 10” tin or until a skewer comes out clean when inserted into the centre of the cake. 5. Leave to cool completely before cutting each of the cakes in half. 6. Make the mascarpone icing by beating the mascarpone in a bowl until soft, add the lemon zest and a little of the icing sugar at a time until you get a consistency of a smooth butter cream. 8. Once the cake is stacked up, then spread the remainder of the mascarpone icing all over the cake before decorating with the berries. 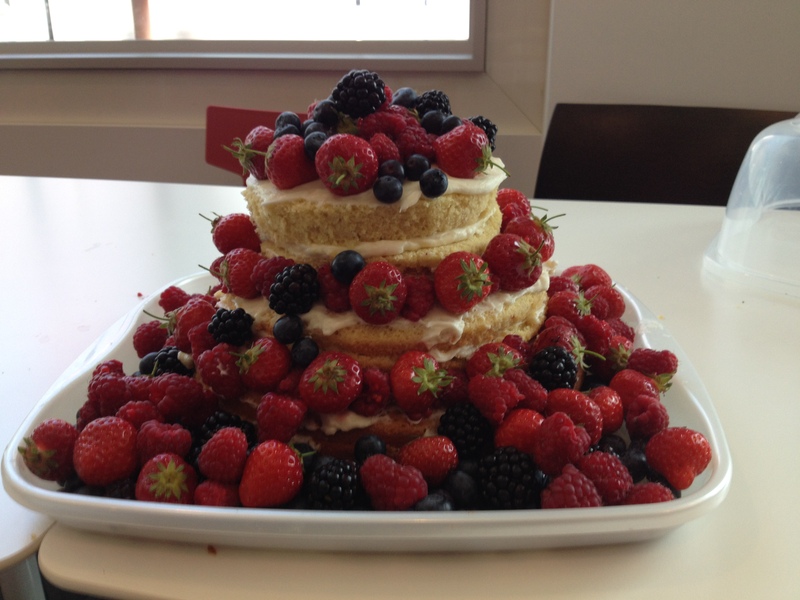 Tip: If you want to make the cake more special decorate with roses and sprigs of mint interspersed between the berries! This entry was posted in baking, cake, fruit, lemon, pudding, recipes, tea time and tagged eats, foodblogger, foodie, foodphotography, homecooking, instayum, recipes on July 17, 2014 by Antonia Cooks. We really like cake, a lot. In fact we like cake so much, one wedding cake just won’t be enough… We’re dreaming of a whole table of different wedding cakes, with afternoon tea to follow the ceremony. We know we have a lot of friends and family members who are amazingly talented bakers. Can you help us to make our cake dreams come true? 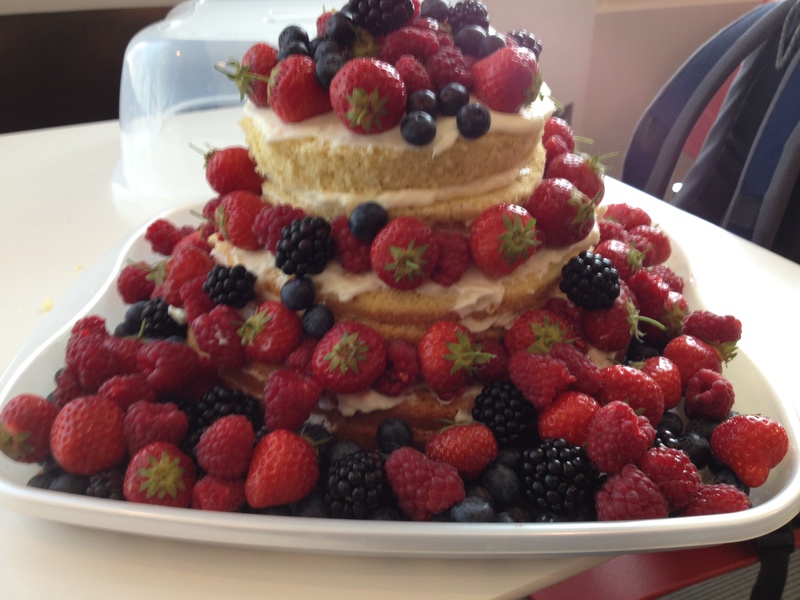 Join our great wedding bake off, and battle it out to be crowned the best wedding cake baker! There will be a very democratic judging process on the day…and the favourite wedding cake will be the one that we save and cut in the traditional wedding way. There are no rules for what to bake or how it is presented, the more creative the better! Not being the type of person to shy away from a challenge I have donned my apron and started testing out a couple of ideas I have had for a wedding cake to see if: (a) it tastes good; and (b) looks presentable. At the moment I am in two minds about the flavour. Our family loves a good chocolate cake and the one that I am going to share with you today certainly ticks that box. However, as the wedding is in August and will hopefully be on a beautifully hot and sunny day, I am of the view that a lovely light lemon cake would go down much better. The other option is of course to do multiple cakes… but this might be a step to far as I suspect in the days building up to the wedding things are likely to get a little bit busy. 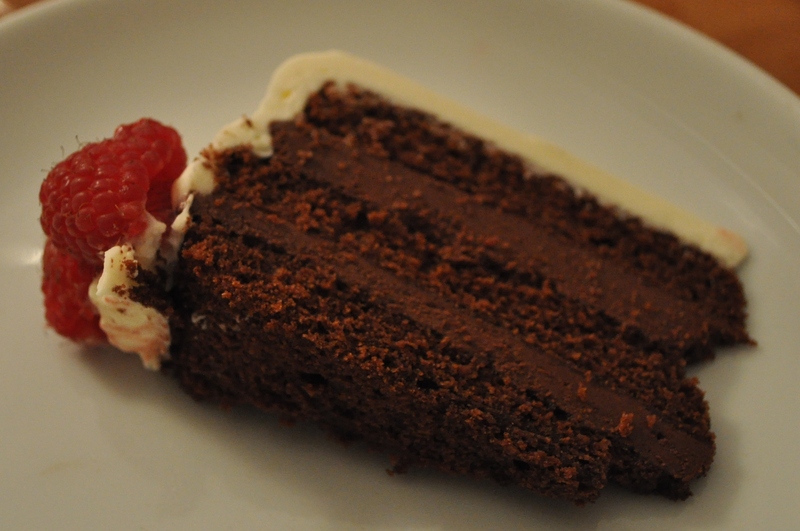 If you like chocolate, I would recommend trying this cake as it is rather decadent! This entry was posted in baking, cake, chocolate, recipes, tea time and tagged eats, food, foodblogger, foodie, foodphotography, foodstagram, foodstyling, homecooking, instayum, recipes on April 6, 2014 by Antonia Cooks.